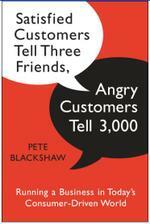 Here's a more provocative review of "Satisfied Customers Tell Three Friends, Angry Customers Tell 3000" from a writer frustrated with the credit card industry. Motrin Moms Tell Way More than 3000! "Power Moms, who often balance their careers with parenting, have little free time and therefore have no choice but to connect and communication in the most efficient way possible. 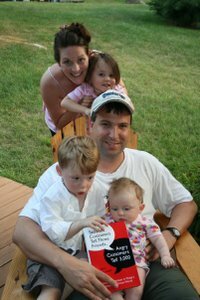 Bound by a sense of community and responsibility, Power Moms will go out of their way to tell fellow parents and other consumers about their opinions on or experiences with products or companies -- particularly those, like cold medicines or diapers or minivans, that have to do with the health and safety of their families." In this case, the platform of choice for the Power Moms is Twitter, and this puts the controversy on hyper-drive. Like it or not, Twitter has dramatically accelerated the delivery time of "feedback moments." This particular issue moved so fast that a nine-minute Twitter-montage has already been posted to the YouTube documenting negative reactions to the ad campaign. According to the Crunchy Domestic Goddess blog, the brand has formally responded and retracted the ad. Marketing bloggers are having a field day with the topic -- in fact, they are driving a good percentage of the overall conversation -- and David Armano's thoughtful analysis is one of the best so far. (My response to his post here.) Kevin Dugan also weighs in, while Steve Hall at Ad-Rants thinks we're all going a bit overboard on the issue. Oh, and there's even a counter-video to that effect (thanks, Kevin Dugan, for heads-up). My wife and I are huge fans of the baby-slings and carriers so I'll conduct perhaps the most important "focus group" on the spot tomorrow morning. 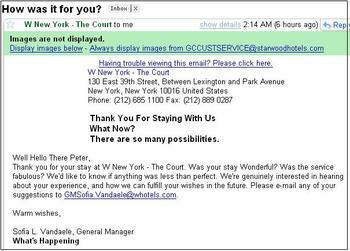 Nice touch by "W New York" hotel! I like being asked for feedback, EVEN if I don't get around to giving it! "We'd like to know if anything was less than perfect," the notes says. Shows commitment. 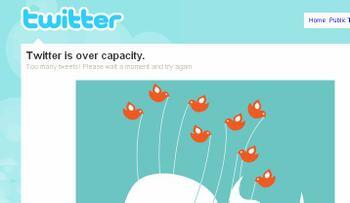 Moments after I read this story, Twitter is down again. Just caught a blog post on "Satisfied Customers Tell Three Friends, Angry Customers Tell 3000" in Spanish, so perhaps this is a good sign that the conversation is starting to push new frontiers. This particular post is from "El Blog de Marketing en Espanol." In today's "consumer controlled surveillance culture," it's hard to get away with anything, even if you are a prized and value brand. Today, Apple officially started selling it's new lower-priced iPhone3G, and within hours of the phones hitting the stores, complaints started to surface about service glitches. Interesting, even members of the media -- including Philip Elmer-DeWitt, who live blogged the event -- used the power of social media to record problems almost instantly. Key Learning #1: The brand buffer between "experience" and "exposure" is disappearing. Key Learning #4: Perhaps Apple and AT&T should have released the software ahead of time...even a day or two. This might have relaxed the stress on the servers. I'm technically on vacation, but with a book launch it has been anything but relaxing. Interviews, media requests, webinars, and more. All incredibly exciting though, and quite a few of the media folks who have interviewed me (especially the three or so interviews by NPR affiliates) are REALLY into the book themes. People are actually reading the book and sending feedback. Folks that ordered the book months ago via Amazon are suddenly getting copies at their doorstep. Two days ago, I led a webinar sponsored by Nielsen on the book themes and had several hundred attendees. Beth Thomas-Kim of Nestle and Tom Asher of Levi's, both incredible leaders in the consumer affairs industry, joined me for a spirited "back and forth" on so many of the key themes, especially around listening. I've been deliberately engaging folks from "consumer affairs" in my open-discussions, forums, and interviews because I want to shift the debate that's taking place about social media. I think we all need to think much harder and more critically about "who owns" this area; more importantly, which groups bring the best core competencies to the table in managing these very complex relationships with consumers. Or at minimum, we need to find the right hybrid model between marketing and consumer affairs. Right now, we have too much of a "Conversational Divide" (see graphic), and that's a recipe for consumer confusion. Again, it's all about staying credible, right? Anyway, the webinar was quite energizing, and I'll be joined by Beth, Tom, and probably a few other heads of consumer relations in a follow-up webinar with the Society of Consumer Affairs Professionals (SOCAP) later this month. Book Excerpt Available: On other fronts, apparently the book intro is now available off the Nielsen.com website. The excerpt sets the stage for the other issues I get into. Facebook "Tell 3000" Site Growing and Growing: I frankly wasn't sure whether to create a Facebook group dedicated to the book, but at the last minute I pulled the trigger. Rather than make it overtly promotional (akin to a "fan site"), I'm anchored it more to the book themes. Hence the title, Tell 3000 -- It's all about the Service. We're now up to nearly 260 members (in just a few days) and this suggests to me that there's a world of potential in shaping a new conversation about the book themes. We're overdue. I'm excited. If you have thoughts or ideas on how to drive the best possible conversation off the book themes, send my way. "Tell 3000" Book Launch Diarist: And We're Off! Wow! Made it through first day of the book launch. Very exciting..and exhausting. I'm "technically" on vacation, but how can one relay when you are launching a book. Random House's Doubleday team has kept me quite busy so far, with more to come. Hard to fully understand the significance of the early numbers but some of the early excitement around the book does appear to be translating into sales activity, especially on Amazon. Is that good for "launch day" activity? Did the USA Today review on Monday make a difference? (Probably...a bunch of friends pinged me about the story.) What about the blogs? (Not clear yet...although more requests for "freebies" are coming in.) I did receive confirmation that real books are hitting the shelves at Borders and Barnes & Noble...as far as way as Seattle...and that was quite cool. So we'll see. Later today, I'm leading a Nielsen Online sponsored webinar on the book themes along with Nestle's Beth Thomas-Kim and Levi's Tom Asher. Last important launch day note: the night before launch I started a new group on Facebook entitled "Tell 3000: It's All About The Service." It's basically a supplement to this blog, but within a Facebook context. 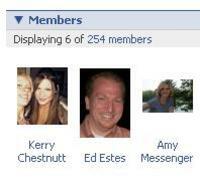 Good sign: over 180 folks have signed up for the group. Leading indicator? (Who knows!) I do find Facebook excellent for uploading videos, and so I'm uploaded so far about eight "man/woman on the street" video interviews about brand experience. I hope this keeps the conversation engaging! Onward! And the Book Officially Launches! I’m incredibly excited to announce today's release of my very first book, “Satisfied Customers Tell Three Friends, Angry Customers Tell 3000: Running a Business in a Consumer-Driven World.” Published by Doubleday Business, the book is now available in most major bookstores as well as Amazon.com and other online venues. The book’s core question is critically important, and one I’ve been thinking about since testing new feedback models in the California legislature back in the early 1990s (and all the way up through my tenure today at Nielsen Online): how to establish and maintain credibility by being authentic, listening and responding to customers, and forming relationships built on openness, transparency, and trust. The growth of the web, and the unprecedented power and leverage it provides consumers, puts this question in a unique, if not urgent, context. This Q&A from Sunday's Edition of the Cincinnati Enquirer provides helpful background on the book themes. Ongoing Participation: Beyond just reading the book, I also hope you will participate in a sustained conversation and debate about its themes. Toward that end, I’ve created a website entitled Tell3000.com that provides key resources, open-forums, video reviews, and most importantly, a series of audio-based consumer interviews about brand experiences that I hope to update nearly every day. Here’s the short list of ways you can stay involved. Join Me at a New York, Cincinnati, Chicago, San Francisco, or Pasadena (My Home Town) Event. All events will be posted here. Send ideas or suggestions for my new bi-weekly column in Ag Age about the symbiotic relationship between “service and marketing.” Here's my last article. Send to the following. Share your candid (even critical) reviews, or join a discussion forum related to the book themes, on Amazon.